As your child goes through the changes that mark puberty, it may seem that your child’s personality has changed. But this is not so as personality is an inherent trait that everyone is born with. It’s not personality that changes but the attitude. When your child’s attitude changes, the behaviour that you see will change as well. Here is the first most important issue that I see as affecting your teenage child's attitude. Self-worth is the value that you have of yourself as a person based on who you are and not what you do. It’s the unique qualities that you have and comes from internal sources and not external sources such as achievements, appearance and approvals. But with the onset of puberty, peer groups become more important to your teenager. He will compare himself with others and judge his self-worth on what others can do or what they look like (external sources). 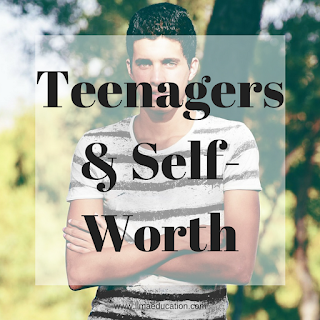 If your teenager thinks that he comes out short then his self-worth will be low and his confidence plummets. This begins the downward spiral of negative self-talk like “I’m not good enough”, “I can’t do it” and “I’ll never be any good at it”. It seems that your once confident and outgoing child has become a negative, critical and insecure teen. The first thing you can do to help your child is to stop criticising him. The constant criticism will lower his self-worth. Sometimes you may not even realise that you’re doing this. It’s common for parents to question their child by saying, “I’ve asked you to do this so why did you so that?” This is criticism. Instead of criticising, which is focusing on the negative, you focus on what your child did do right and then give constructive feedback or instructions. Maybe your child tried to fix something but he didn’t do a proper job. You can say, “I’m glad you’ve tried to fix this (the positive). Next time try this (give a short instruction as you would a procedure, starting with a verb). The second thing is to stop comparing your child to his brother, his sister, his friends or anyone else. Treat him as unique. He has his own capabilities so appreciate those. What can your child do well? Focus on that and give positive feedback on it such as “You’re so helpful, I appreciate that a lot” or “I’m so glad that you’re so thoughtful. You’re always thinking of others”. To help your child stop his own comparison with others and stop being critical of himself, change his negative self-talk to positive ones. Say these things below to your child everyday to boost his self-confidence. Better still, if you can get your child to say them every day in the form of “I” statements then eventually it will push out his negative self-talks. To further boost your teen’s sense of self-worth, have him join activities that will make him feel good about himself such as volunteering and charity work. These activities that help others and require him to be kind and generous, make it easy for your teen to value himself more. Come back next week to find out how you can help your teen deal with the issue of acceptance.